Welcome U.S. Postal Service Click-n-Ship® Customers. Shipwire, Endicia® and the U.S.P.S. are working together to ensure you can print postage immediately. Convenient. Print labels and schedule pickups online while sitting at your desk. Print on envelopes, labels or paper. Flexible. Print just the postage you need, when you need it. Print more anytime. Risk Free. No monthly, setup or cancellation fees. Affordable. Pay for postage with your credit card or use PayPal®. Never overpay for postage again. Fast. Instant approval with a valid e-mail address. Be printing postage in a couple clicks. * How fast can I be printing? Sign-up with a valid e-mail, insert your payment method and be printing postage in minutes. * Is there any charge for the account? No, the Shipwire account is free. * How much does online postage cost? Print postage at normal postage rates and a nominal $.20 per label charge for credit card or PayPal® charges. * Why Shipwire? Shipwire is an official U.S.P.S. label printer, powered by Endicia. 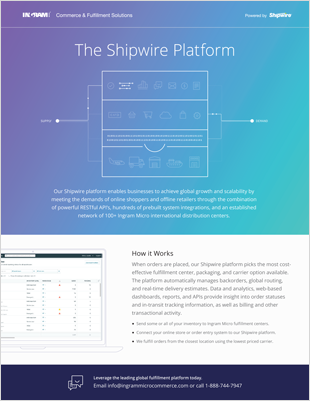 * What other services does Shipwire provide? Shipwire is a global ecommece order fulfillment solutions. Merchants send us inventory which we store and ship for them from warehouses in the U.S., Canada and the U.K.
* My Shipwire account doesn’t have warehouse or fulfillment features? Correct. Signing up for online postage printing provides you with a online postage only account. You can upgrade anytime to a full service Shipwire account. * Why can’t I do this at the U.S. Postal Service Web site? See the Shipwire blog for updates on USPS. Disclaimer: U.S.P.S. and Endicia logos and trademarks are property of their respective owners. Click-n-Ship® is a trademark owned and registered by the U.S. Postal Service and used by permission.